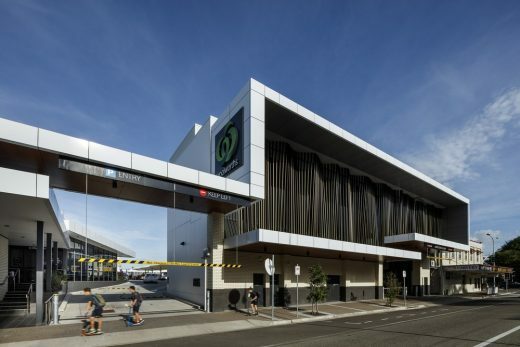 The addition to the Flinders Street project included a Woolworths supermarket and supplementary parking to support the growing demand for city shopping and casual dining in Townsville’s CBD. Nestled between existing heritage-listed retail outlets, a multi-storey hotel and the bustling City Lane casual dining precinct, City Arcade’s latest additions were designed to provide a more diverse shopping environment for customers. The Buchan Group Senior Associate Barry Neocleous said the latest instalment respected the adjoining heritage buildings, whilst linking the two major CBD thoroughfares of Flinders Street and Sturt Street. It also bridged a three-metre level disparity between existing pedestrian routes. “Creating a seamless link between the major streets was a priority for the future retail strategy of Townsville’s CBD,” Mr Neocleous said. 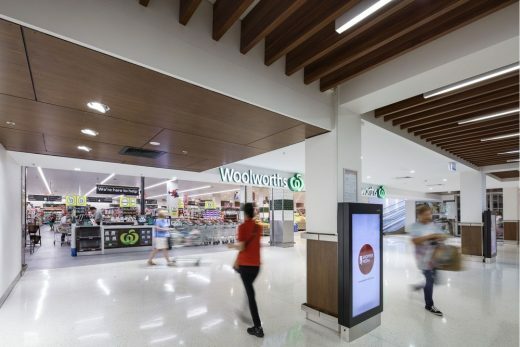 “A major focus was creating a link between the existing retail hubs and securing safe pedestrian amenity, while creating an active, vibrant space for customers. visual appeal and exposure not normally associated with supermarket developments. “Generous awnings on both streetscapes also improve the customer experience and connect the centre to its urban environment and neighbours,” he said. Materials used were chosen for Townville’s unique climate conditions. 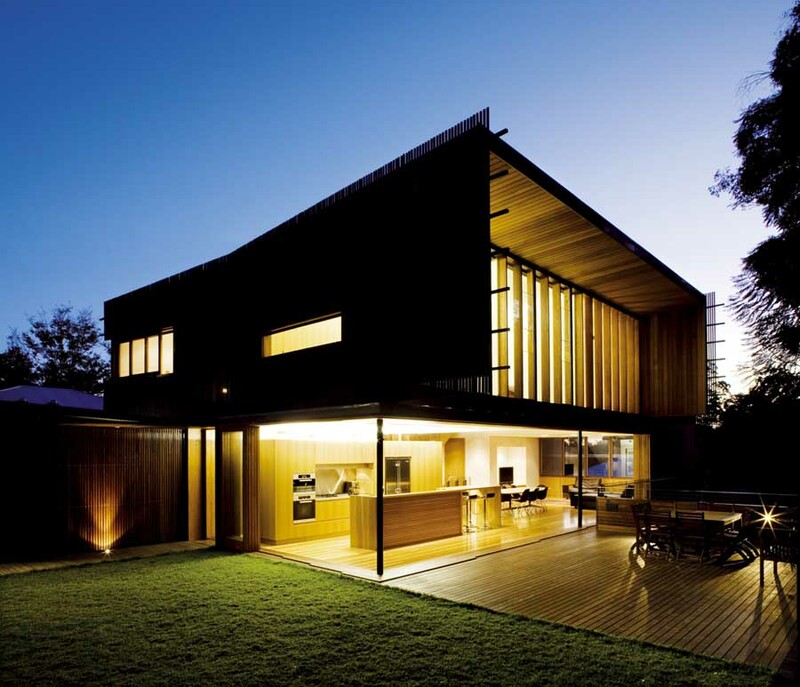 “Materials that displayed honesty through function and natural aesthetic were integral to the design,” Mr Neocleous said. 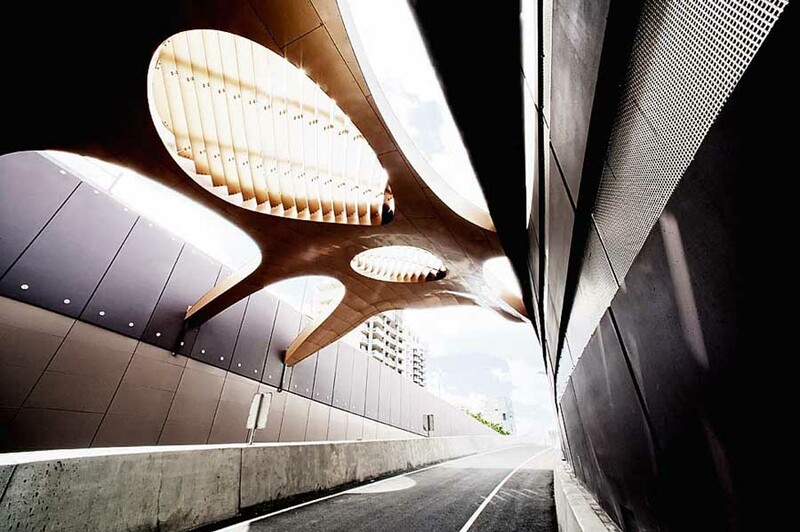 “Colour-coated aluminium battens contrast against the warmth of an externally-rated timber surround on the Flinders Street elevation, reflecting the rippling element of the city’s revitalisation. 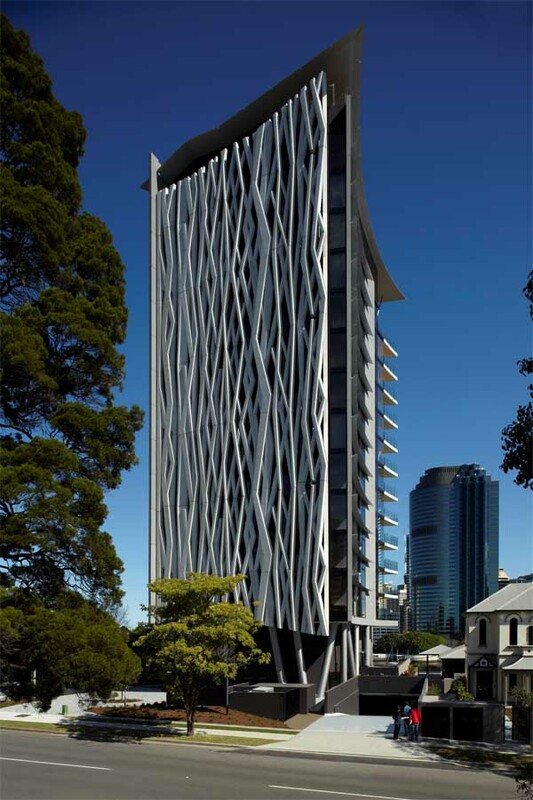 “The Sturt Street elevations incorporate an architectural language used to invigorate Flinders Street, while also offering a scale and proportion that complements important aspects of neighbouring buildings. 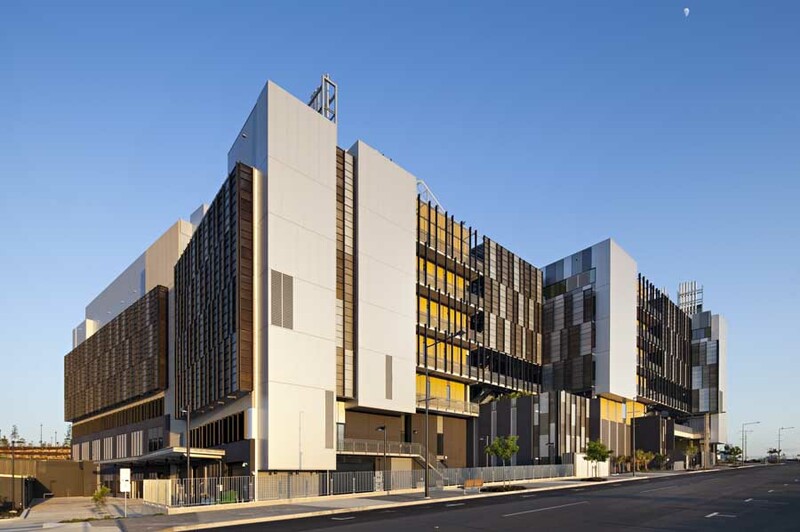 Like many urban centres Townsville is home to a growing pigeon population and the Buchan team came up with a solution to deter roosting without compromising the design or harming the birds. “Through thorough investigation it was found that pigeons find it very uncomfortable to roost on sloping and angled profiles. The Buchan Group was appointed by Lancini Property & Development to work on the project. 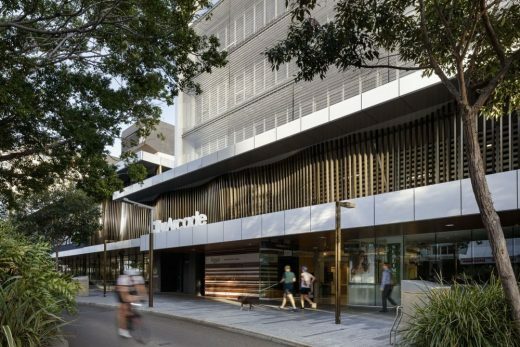 City Arcade late last year won the Property Council of Australia’s Excellence in Design – Neighbourhood Centres Award at the 2017 Queensland Retail Awards. 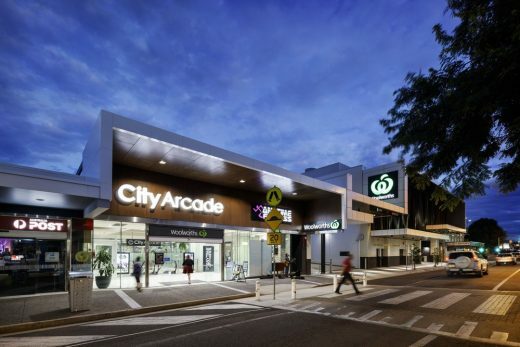 The addition to City Arcade is located at 393-401 Flinders Street in Townsville’s CBD.